WASHINGTON (AP) — A prominent Russian-American lobbyist and former Soviet military officer attended a meeting with President Donald Trump’s son, son-in-law and campaign chairman last year, the lobbyist said Friday, adding a new wrinkle to the Trump team’s evolving explanations about the June 2016 session. Rinat Akhmetshin confirmed his involvement to The Associated Press in an interview. He had not been previously identified as a participant in the meeting at Trump Tower in New York, which was billed as part of a Russian government effort to help the Republican’s White House campaign. The meeting has heightened questions about whether Trump’s associates coordinated with Russia to meddle in the presidential election — to help him and thwart Hillary Clinton — and whether they’ve been forthcoming about their foreign contacts. Federal and congressional investigators are probing possible connections between the campaign and Moscow. Akhmetshin has been reported to have ties to Russian intelligence, a characterization he dismisses as a “smear campaign.” He’s a well-known Washington presence, lobbying for Russian interests trying to undermine the allegations of a lawyer who died in a Russian prison and is the namesake of a U.S. sanctions law. While Trump Jr. has confirmed that Russian attorney Natalia Veselnitskaya was in the meeting, he has not disclosed Akhmetshin’s presence. 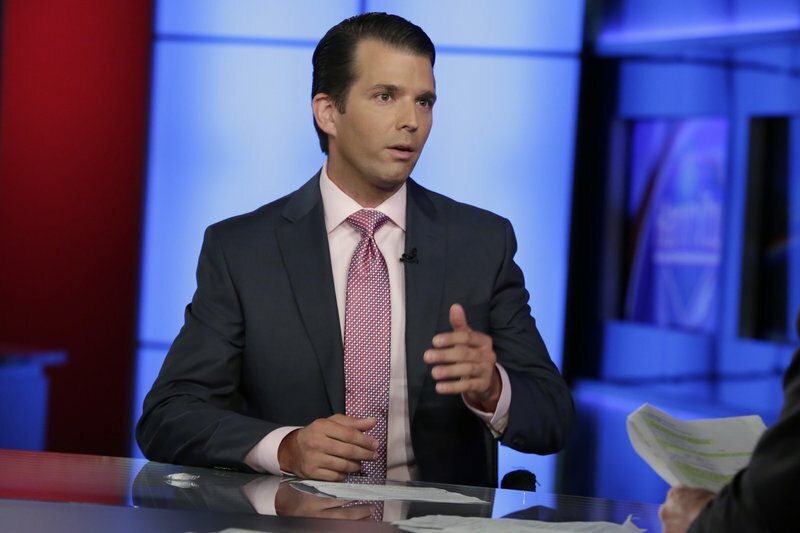 The president’s son has publicly discounted the meeting, saying he did not receive the information he was promised. Jared Kushner, Trump’s son-in-law and current White House senior adviser, and then-campaign chairman Paul Manafort also attended the meeting. Akhmetshin said he recognized Kushner and Trump Jr. He also said he recognized Manafort because they worked in “adjacent political circles” but never together. He said there were others in the room but he didn’t know them. Publicist Rob Goldstone, who brokered the meeting via email with Trump Jr., has told the AP that he was there. Asked about Akhmetshin’s participation, Manafort spokesman Jason Maloni declined comment. Trump Jr.’s attorney did not respond to inquiries, nor did a spokesman for Kushner. Veselnitskaya has denied having any ties to the Russian government. When reached by the AP this week, she declined comment. She did not respond to additional attempts to contact her Friday. Kushner disclosed the meeting on his security clearance paperwork, but Schiff said the Akhmetshin revelation raises questions about how much Kushner disclosed about it. He said he believes Kushner’s clearance should be reviewed, and “if he was not perfectly candid,” the clearance should be revoked. Akhmetshin, who spoke to the AP while on vacation in France where he said he has been surfing, said the meeting was “not substantive” and he “actually expected more serious” discussion. “I never thought this would be such a big deal, to be honest,” he said. Akhmetshin said he has not been contacted by the U.S. special counsel’s office or the FBI about the meeting with Trump Jr. He said he’s willing to talk with the Senate Judiciary Committee, whose chairman has pressed the Justice Department about why Akhmetshin has not registered as a foreign agent. Akhmetshin said that the Justice Department’s Foreign Agents Registration Act unit sent him a letter in April and told him, “it has come to our attention you should have filed for FARA.” He said he didn’t believe he needed to file. He has previously registered with Congress for the lobbying work, and he plans to raise this issue before Grassley’s committee. Brad Parscale said in a statement that he is “unaware of any Russian involvement” in the data and digital operations but will voluntarily appear before the panel. Associated Press writers Eric Tucker, Stephen Braun and Julie Pace contributed to this report.